United Methodist Women (UMW) is a faith-based membership organization within The United Methodist Church. 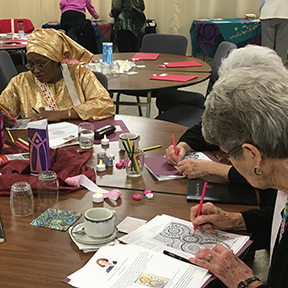 UMW members are committed to growing as disciples of Jesus Christ in community with other women and advocating on behalf of women, children, and youth around the world. 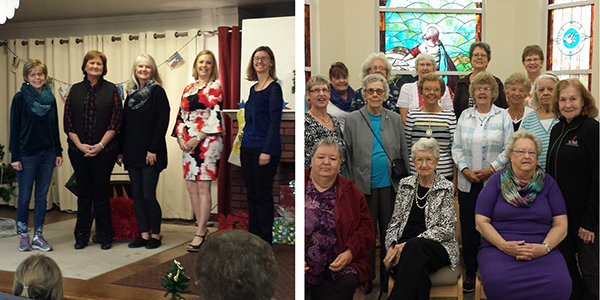 United Methodist Women has been in mission for over 140 years. At St. Paul’s, we are an active, faith-driven group of over 200 carrying the UMW mission and traditions forward through various ministries and programs. 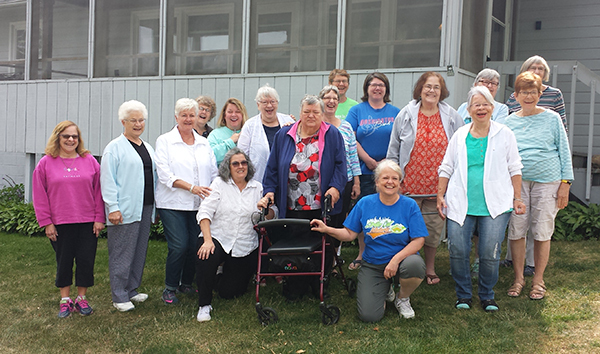 The organized unit of United Methodist Women is a community of women whose purpose is to know God and to experience freedom as whole persons through Jesus Christ; to develop a creative, supportive fellowship; and to expand the concepts of mission through participation in the global ministries of the church. Who Can Participate in UMW? UMW at St. Paul’s is open to all women. To join, contact Sharon Vana at svana72158@aol.com. We sponsor many activities throughout the year that are open to all and supported by men and women. UMW circles are small groups of UMW members who meet regularly for spiritual growth, missions, and social interaction. Circles are open to all. For more information or to join a circle, contact the circle chair. These and other fundraising activities help raise thousands of dollars each year for UMW missions and St. Paul’s projects while also serving the needs of the local community. ​Increase sensitivity to all human beings—their needs, interests, and concerns. Books and materials are available at the church. 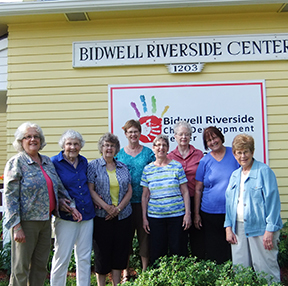 St. Paul’s UMW members participate in the UMW Education for Mission Reading Program. Hostess: Be Healthy. Be Green. Taskforce. "United Methodist Women in Mission: 150 Years & Beyond"
Thrift Mart News Are items accumulating at your house? These cold days are great for sorting and cleaning out. Please save your items for drop off at St. Paul's in March. We plan to have a Thrift Mart on Tuesday, April 9 and Wednesday April 10, 2019. Items of greater value please consider our Super store. Contact Jim Steggall about those items.